I was a little confused last week when the FDA issued what was portrayed as a reassuring update on levels of arsenic in rice and rice products. After analyzing more than 1,300 rice-containing foods, the agency said, essentially, that the arsenic in rice won't kill you, at least not today. The headline in The New York Times mirrored most of the media coverage: "No Immediate Risk Found In Arsenic Levels in Rice," it said. OK, but what about last year's Consumer Reports investigation (which the FDA confirmed) that showed "worrisome levels" of arsenic in rice, notably brown rice, in common food products including "organic rice baby cereal, rice breakfast cereals, brown rice [and] white rice"? Consumer Reports noted that "arsenic not only is a potent human carcinogen but also can set up children for other health problems in later life." 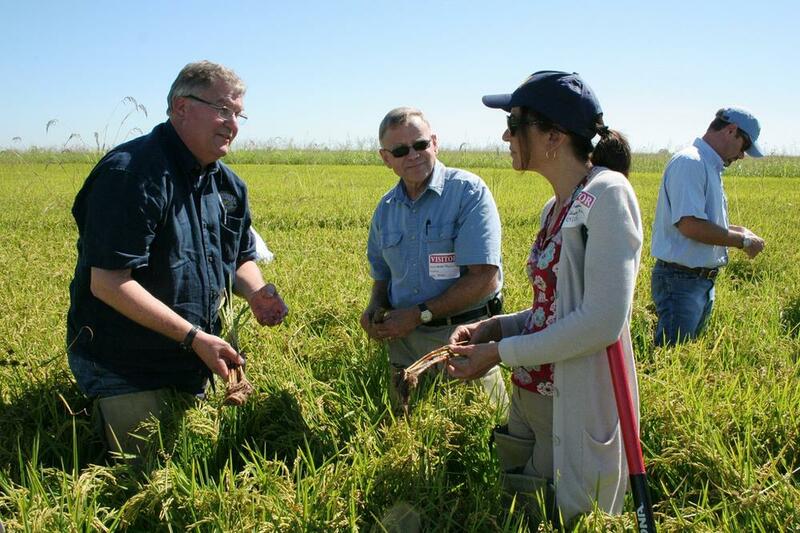 When I read the updated FDA materials, including an FAQ for consumers and a blog by FDA Commissioner Margaret Hamburg, who went on a fact-finding mission and visited with U.S. rice growers, it became clear that we should still be concerned about arsenic in our rice. The key point in this new flurry of agency news? "We still need to better understand long-term health risks,"
said FDA spokesperson Shelley Burgess in an email. Indeed, since we really don't know the long term health risks of arsenic-containing rice at this point, the FDA's takeaway message is basically that we should vary our diet; and when it comes to grains, learn to love barley, quinoa, oats, wheat, etc., and refrain from daily rice consumption. Among the rice grain categories, the average levels of inorganic arsenic ranged from 2.6 to 7.2 micrograms of inorganic arsenic per serving, with instant rice at the low end of the range and brown rice at the high end. Among the rice product categories, of which there was a wide variety, the average levels of inorganic arsenic ranged from 0.1 to 6.6 micrograms of inorganic arsenic per serving, with infant formula at the low end of the range and rice pasta at the high end. These amounts of detectable arsenic are not high enough to cause any immediate or short-term adverse health effects. That was the report, you may remember, which showed that single servings of some brands of rice and rice-based food products exceeded the arsenic limit that New Jersey applies to a liter of drinking water. That food-to-water comparison is not perfect, but it's apt enough and, unfortunately, the best we have because the U.S. has set no national standard, yet, for arsenic in food. But there is one for inorganic arsenic in drinking water, and it's 10 parts per billion, which happens to be exactly twice the science-based standard originally favored by the U.S. Environmental Protection Agency (EPA). It also happens to be twice the New Jersey standard, which followed the EPA recommendation of 5 ppb, or 5 micrograms per liter. --Study after study has demonstrated that arsenic levels in rice are not going to be toxic in the short-term, so the heart of Friday's news isn't really news at all. --On the question of risk from long-term exposures, however, "the really serious work has yet to be done." --Because that "bigger message [was] somewhat unfortunately buried" in Friday's announcement, it's fair to take the overall announcement "as a deliberate move to more loudly reassure" not only a possibly worried public but also "the U.S. rice industry, which has expressed growing unhappiness over the arsenic story." I am genuinely glad to see the FDA tackling this complicated and important public health issue. I could wish that the agency had done a better job of explaining the work. I heard the same reaction from the toxicologists I talked to today – their worry that people in the high risk groups would suddenly believe there was no risk at all.